Inventory Reduction of New Commercial & Industrial Items. Industrial Products from a Nationwide Supply Co. Everything from Gloves & Tools, to Machine Shop Tooling! Parks & Son Inc Wholesaler of Ammo & Ammo Components. Selling 9+ Full Model Homes from New Builder. One of the Largest Furniture Sales like this we've had! Complete Liquidation of all Personal Property, Furniture, Collectibles, Tools, & Vehicle. To Settle the Tidd Estate, Classic Auctions will be offering at Public Auction a Beautiful Home and Contents in the Prestigious Historical District of Downtown Concord!! Complete Liquidation of Carter Insulation Services. All Equipment, Trucks, Forklifts, & Supplies. Selling for Wells Fargo Bank. 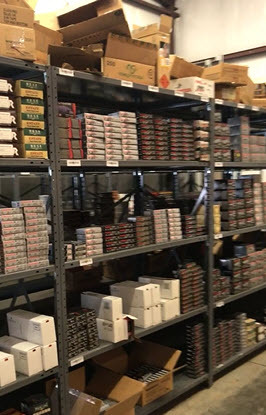 Shotguns, Rifles, Revolvers, Pistols, Reloading Equipment & Supplies. Very Large Coin Collection from Burrows Estate (dec.) Silver Rounds up to 1lb, Coin Sets, Mint, Proof, & Prestige Sets, Hundreds of Individual Antique Coins & Sets! Selling Tax Seized, Bank Repo, & Local Guardianship. Vehicles, (2) Ambulance Fleets, Cars, Trucks, & more. Also, Bank Repossessed Large Machine Shop Equipment and New Industrial Items from our Vendor! Tools, Home Improvement, and much more. The building has been leased, and we will be selling wall to wall to make room for new tenant!